Make no mistake, this is a proper Ireland hideaway. We’ve already taken the wrong road three times and in desperation must pull over to ask for directions. The first person we see is a man unloading what looks like the contents of an entire hardware store from a white van. Are we far from Arthurstown?, I ask. 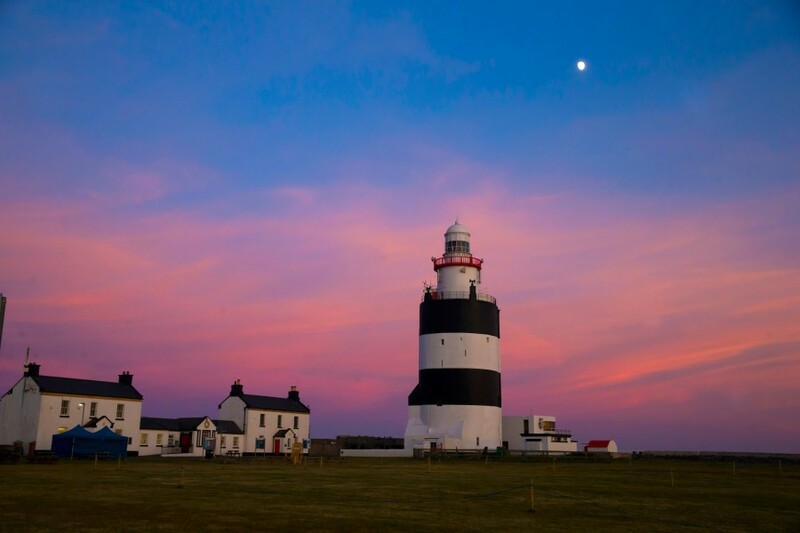 It’s a seaside village, tucked away on the scenic Hook Peninsula of Co Wexford, only about two hours distant, yet worlds removed, from Dublin’s sprawling metropolis and conveniently close to the ferry port of Rosslare, gateway to the UK and France. “Go up that hill at the end of the street, take a left, there’s a playground and you will be on the right road,” he says, gesticulating with a yard brush. My GPS is out of action and my companion is worse than useless when it comes to directions. He’s Dutch and has been grappling unsuccessfully with the nuances of local Irish accents for years now. Everyone charms him so he nods knowingly, without having a clue most of the time about what they’re actually saying. When grass starts growing in the middle of a road becoming progressively smaller you know it will either lead to a dead end, a field or a farmyard. We note the ominous signals and turn back. Luckily the next directions obtained come from an efficient looking middle aged lady walking a dog. They are economical, spot on and she’s easily understood. A few miles later a fine tall stone wall, a gate lodge framed by pillars and the promised sign for our destination on the outskirts of Arthurstown takes us along an imposing avenue to a splendid demesne, dramatically set among old trees and kitchen gardens. 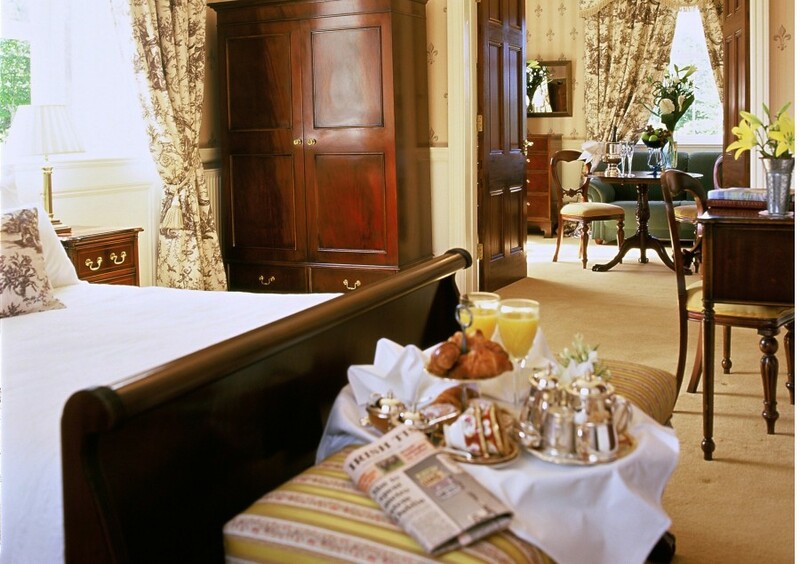 Dunbrody House Hotel is a historic hotel catalogued in Ireland’s prestigious long-running Blue Book that comprises some of the finest Downton Abbey style estates. 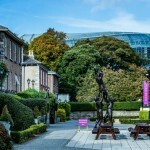 Among them are remnants of Ireland’s Anglo past, saved from decay or demolition after being re-invented as luxury hotels and five-star guest houses offering beautiful lodgings and fine dining. 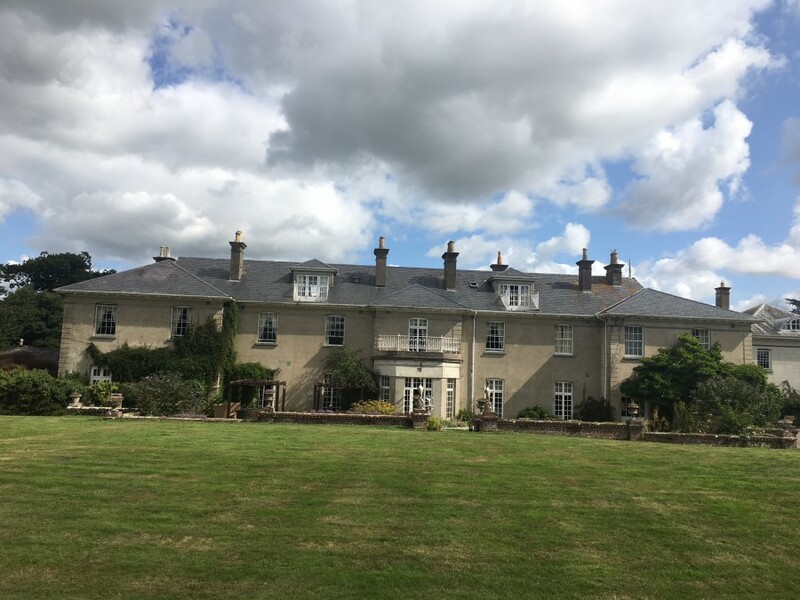 In their heyday, The Chichesters, among the wealthiest and most influential Anglo families of South West Ireland presided over 24,000 plus acres of Co Wexford from the big house built in the early 1800s, coach houses, stables and rows of staff quarters testifying to all that grandeur and prestige. Today Dunbrody has become a top country house hotel, a five- star experience offering superb accommodation with a renowned restaurant. It is owned by a very energetic and talented couple Kevin and Catherine Dundon. They bought the property over twenty years ago and have built it up steadily, diversifying with a cooking school, spa and various other uses for all the outbuildings. 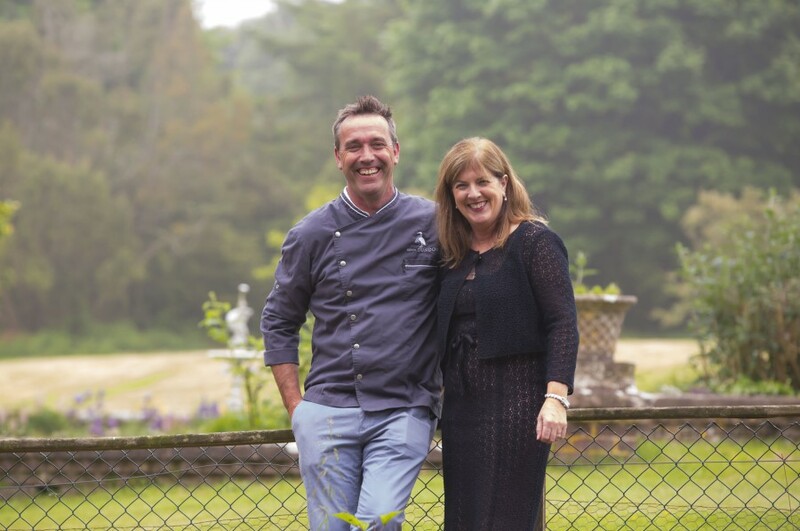 Kevin, one of Ireland’s best-known TV celebrity cooks has his studio kitchen in former stables while a cosy Irish pub and courtyard provide Sunday brunch with jazz and other entertainment for guests and locals. 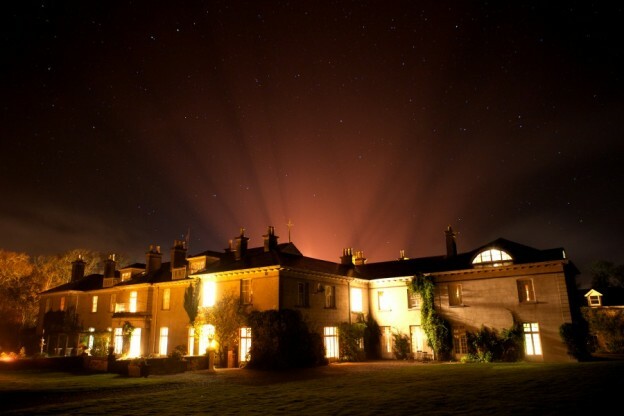 The spa is warm and elegant, using products from top end Aromatherapy Associates in treatments which include ‘uplift your mood’ and ‘clear your mind ’massages, plus age repair facials and the Dunbrody Eye contour wrap in its extensive repertoire. There are scrubs and wraps aplenty too. Reading the spa menu I couldn’t wait to indulge in some badly needed maintenance but the spa was shut. A large wedding party was expected with little or no demand from anyone for its services. “They will have had all their pampering done beforehand” explained Catherine as we toured the spa treatment rooms that include a Serail Mud chamber in which the skin is soothed with mineral-infused mud and hot steam, a practice that originated in Turkey in ancient times. 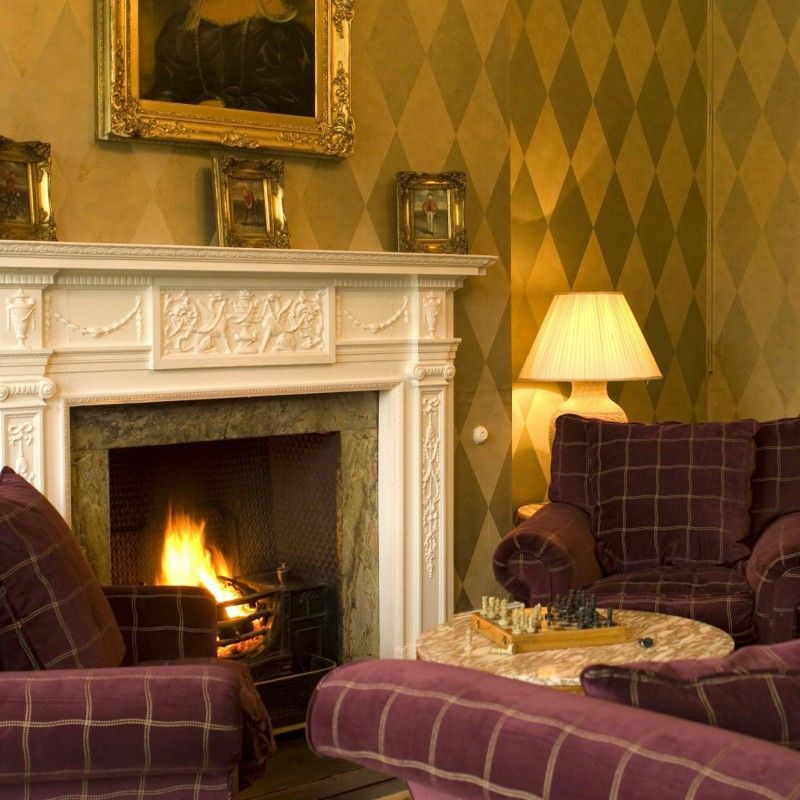 Dunbrody House Hotel is no stranger to accolades from international luxury magazine reviewers, impressed by the combination of old-fashioned style in an informal atmosphere. You sense this immediately going through the entrance under the Chichester crest of a heron, replicated on the stair carpet and preserved on the original garden ornamentation, greeted with a warm Irish welcome as if you were family friends. “Authentic charm, relaxed ambience and top class dining experience,” said The Luxury Travel Guide, the travel and lifestyle resource geared towards an affluent corporate international audience when awarding Dunbrody its luxury country hotel award. Catherine Dundon sends up chilled glasses of wine with veggie dips to our comfortable suite, furnished with antique furniture and views on three sides of the lawns boarded by woodlands. garden views. Dumbrody excels at attention to detail, from top quality bedding and toiletries in the spacious bathroom to an eclectic DVD library, Victorian-era books and modern coffee table tomes lying around in the adjoining drawing room of our suite. Dinner at Dunbrody can be either a full-blown romantic feast with fine wines, foie gras and best cuts of local beef cooked the way you want, freshest of seafood, enjoyed in the dim lit elegant dining room or an informal supper of burgers or wood-fired pizza washed down with local craft beers in the authentic pub. We opted for the dining room experience and the food was exceptional, my confit of Duck falling off the bone in crispy delectable morsels. Co Wexford is Ireland’s strawberry capital, producing succulent sweet berries, attributed to the mild sunny growing season and quality of the soil down in south-east Ireland. So, of course, I plumped for strawberries and cream topped by feather-light meringue. 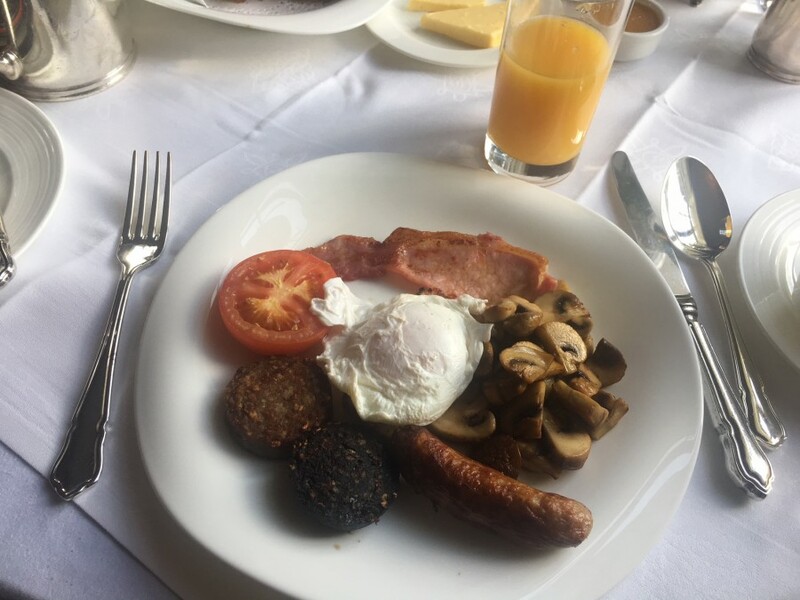 Dunbrody’s breakfast is served until noon (continental from the buffet for €15) or the full Irish (€25) that keeps you going all day long, whilst exploring one of Ireland’s most intriguing and interesting regions. That being said we ended up enjoying a fantastic compilation of crab claws and prawns only a few hours later, tempted to try them by David the affable chef at the Hook Head Lighthouse excellent jam-packed café. The closest town to Dunbrody House is historic New Ross with one of Ireland’s top visitor attractions The Dunbrody Famine Ship experience. 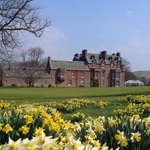 The hotel is also ideally positioned for exploring the Hook Peninsula. The Hook Lighthouse the world’s oldest intact operational Lighthouse also has an award-winning immersive visitor experience tour which attracts over 50,000 visitors annually. 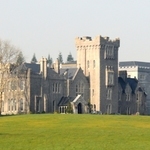 Reluctantly tearing ourselves away from all the pampering at Dunbrody Country house hotel, we travelled further along the Peninsula, passing a wealth of historic sites, including Tintern Abbey and the reputedly haunted Loftus Hall. On the tip of the peninsula, marking the entrance to Waterford Estuary and built 800 years ago Hook Lighthouse is the undisputed jewel in the crown of this lovely corner of Ireland’s Ancient East. It may have some way to go before equalling the more famous Wild Atlantic Way but for a diversity of attractions and scenery, you will be spoiled for choice. Just make sure to take along a map reading expert!. You can also book with Ireland’s Blue Book www.irelandsbluebook.com For more on Wexford see www.discoverireland.ie and www.hookheritage.ie for information on 13th century Hook Lighthouse experience tours.